Atlas supports writing in AsciiDoc, a text document format for writing (among other things) books, ebooks, and documentation. It is similar to wiki markup—if you can write a Wikipedia article, then you’ll have no problem with AsciiDoc. 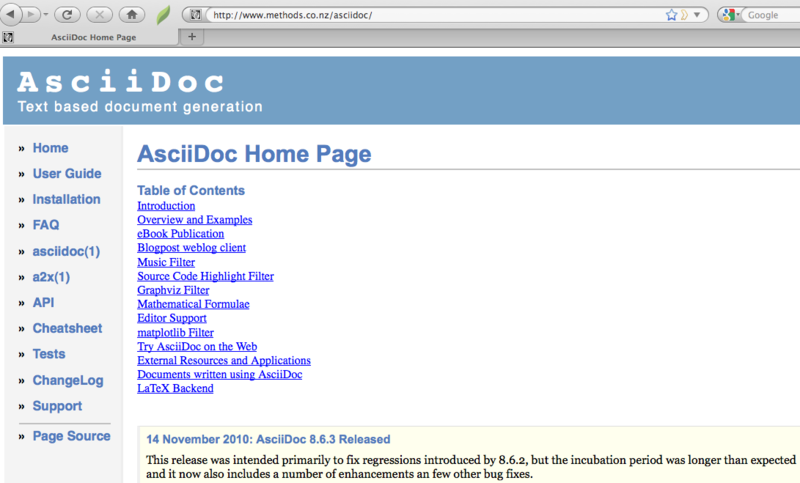 Files ending in .asc or .asciidoc will be converted to HTMLBook when building. AsciiDoc files in Atlas can be edited using the Code Editor. This section illustrates some of the most common elements used in writing technical documentation. The AsciiDoc User Guide and the AsciiDoc cheat sheet are other helpful references, but the following sections will give you an overview of the markup you’ll use most frequently, plus some customized markup that is specific to Atlas. This is an example paragraph written in AsciiDoc. See, it's just plain text; no special markup necessary! Do make sure there aren't spaces or manual indentations at the beginning of your paragraph text. This is a second example paragraph in AsciiDoc. Note that there's a line break and a blank line between paragraphs. To learn how to add inline markup such as italics to your text see the Inline Markup section. There are multiple ways to mark up heading levels in AsciiDoc. We've chosen our favorite "delimited" style to show you below, but feel free to use the two-line underlined heading style if you prefer. The levels described in the AsciiDoc User Guide can be confusing: in AsciiDoc, the document (book) is considered level 0; generally a chapter will be at AsciiDoc level 1 (unless you're dividing the book into parts), and sections within chapters start at AsciiDoc level 3 (which is equivalent to HTMLBook section data-type="sect1"). Once you have created the part file, include it in the Build Contents on the Configure page before the first chapter you wish to be included in the part. This book is dedicated to my cat, Garfield. Dedication pages render on their own page at the beginning of the book, before the table of contents. A glossary file should begin with the word glossary in double brackets, followed by the glossary title and a blank line. Following the blank line should be another instance of the word glossary, this time in single brackets. Each glossary entry should consist of one glossary term, followed by two colons and a space, then the glossary definition. If you’d like to add an additional paragraph to a glossary definition, add a plus sign ("+") on the following line by itself, and begin the additional paragraph on the line after it. 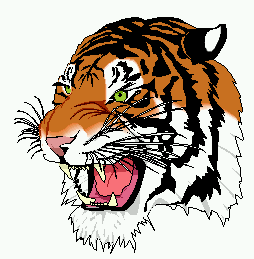 Crawler:: A program used to index documents. You can also use this same markup for forewords, prefaces, and appendixes. Please note that contributor names in a foreword will render preceded by an em dash, since house style places foreword author bylines at the end of the foreword. Italic text indicates new terms, URLs, email addresses, filenames, and file extensions. The AsciiDoc markup is one underscore character on either side of the text to be italic. Bolded text is used to emphasize a word or phrase. The AsciiDoc markup is one asterisk on either side of the text to be bolded. Please note that O'Reilly house style prefers italics for emphasis. Constant width, or monospaced, text is used for code, as well as within paragraphs to refer to program elements such as variable or function names, databases, data types, environment variables, statements, and keywords. The AsciiDoc markup is one plus sign on either side of the text to monospaced. Monospaced and bolded text is used to show commands or other text that should be typed literally by the user. The AsciiDoc markup is one asterisk and one plus sign on either side of the text. Note that the asterisk (*) pair should be on the outside and the plus-symbol (+) pair on the inside. Monospaced and italicized text indicates where text should be replaced with user-supplied values or by values determined by context. The AsciiDoc markup is one underscore and two plus signs on either side of the text. Note that the underscore (_) must be on the outside and the plus-symbol (+) pair on the inside. For subscript text, use a tilde character (~) on either side of the subscript text. For superscript text, use a caret (^) character on either side of the superscript text. For hyperlinks to external sources, just add the full URL string followed by brackets containing the text you'd like to appear with the URL. The bracketed text will become a clickable link in web versions. In print versions, it will appear in the text, followed by the actual URL in parenthesis. Note that these will become hyperlinks in online versions, so for fake or example URLs, use +constant width+ or _italic_ markup instead. Using inlines in AsciiDoc can sometimes be tricky. If you’re having problems with inline markup not rendering correctly, or if it’s producing validation errors, check if it’s an issue with nested inlines. Attempting to nest inlines within each other may sometimes result in problems if the markup is done in the wrong order. For example, constant width bold text uses an asterisk and a plus sign on either side of the text, but the asterisk pair must be on the outside of the plus sign pair, otherwise you’ll get an error. Another common issue is when inline markup occurs within a single word, like foobar, or if the inline markup abuts some other non-whitespace character on one or more sides (like an em dash), it may render incorrectly like this: foo\+bar. The fix for this is to double up the markup. For example: foobar. See Inline Markup. Sidebar text is surrounded by four asterisk characters above and below. You have the option of using note, tip, warning, and caution elements for supplemental information. You may also notice that some of the admonitions below have a title. We do support optional titles in admonitions. If you don’t want a title for your note, tip, warning, or caution, just leave out the entire .Tip Title line in the markup below. Here's some text inside a note. Here’s some text inside a note. Here's some text inside a tip. Here’s some text inside a tip. Here's some text inside a warning. This is how warnings render. Warnings can be used for including supplemental information in your text. Including a warning title is optional. Here's some text inside a caution. This is how cautions render. Cautions can be used for including supplemental information in your text. There should be no spacefootnote:[This is a standard footnote.] between the text and the note number. For an example of the footnote rendering, see the first paragraph in this section. You should see the content of the note rendering at the bottom of the page. To add a block quote to your text, use the word quote inside single brackets, followed by a comma and the full name of the quote’s author. The text of the quote itself should appear immediately below, with four underscore characters above and below it. Full figure markup should include a unique ID attribute, so the figure can be cross-referenced (see Cross-References for more info on using cross-references). Please note the figure IDs should be unique throughout the book. Non-captioned figures don’t have ID attributes or figure numbers and are not cross-referenced. If you’d like your figure to appear without a caption, just omit the .title line. Please keep in mind that in addition to having no title, these figures will also have no figure number and cannot be cross-referenced in the body of the text. There are three common types of lists; below are the markup and an example of each. If you're an O'Reilly author, the O’Reilly Style Guide and Word List has more details about when to use which type of list. Use a plus sign (on its own line) with the text below to add multiple paragraphs to a list item. Note that the final item in the list has multiple paragraphs. As you can see in the markup example, a plus (+) character can be used to add additional paragraphs to a list item. Note that a single vertical bar (|) character is used to separate each box in the table. If you’re having a problem with your table columns rendering oddly, make you have that you have the same number of vertical bars for each row. Pygments supports a wide variety of languages that can be used in [source]; see the full list available on the the Pygments website. Ebook readers that do not have color screens will still display the highlighting, but in more subtle shades of gray. The color scheme is consistent across books and cannot be changed at this time. There are two ways to include external code files. You can include an external file that is text-only (no markup like line annotations or inline formatting), or you can include an external file marked up with valid XHTML, which can contain inline markup. Callouts will work with either method. For info about using callouts with your external AsciiDoc code file, see Code callouts. <1> Violets actually have a color value of +#9933cc+. <2> This poem uses the literary device known as a "surprise ending." <1> This is number one. <2> This is number two. All references to titled block elements and book components—figures, tables, examples, sections, chapters, parts, and so on—should be marked up as cross-references, not entered as plain text. Cross-reference markup will become a live hyperlink to the target in digital versions and will resolve automatically if you move numbered elements (figures, chapters, etc.) around while editing. The Atlas build system will transform this id into a standard cross-reference (or <xref>) for you: the rendered text will adjust automatically if you later move the target or reword its title, and it will work as a hyperlink in digital versions. The following table shows the standard text generated from the cross-references in PDF builds. The results is shown in Figure 13-1. * See <<indexing>> for details. * The results is shown in <<unique_id>>. See Troubleshooting Inline Markup for examples of inline passthroughs. The Pythagorean Theorem is latexmath:[\(a^2 + b^2 = c^2\)]. The Pythagorean Theorem is \(a^2 + b^2 = c^2\) . Please do not use AsciiDoc’s mechanisms for forcing line breaks, as these don’t mesh with Atlas’s book building tools. This section describes how to create an automatically generated index in AsciiDoc. We’ve extended indexing in AsciiDoc to include ranges, sees, and see alsos. The index entries will be auto-generated during the build process, using the index markers you place in the text, as described in the next section. Just be sure to include the index.asciidoc file in the build. For anything not mentioned below, please refer to the AsciiDoc User Guide. There are two markup options for "see also" entries. Any "(see also)" entries that are nested under primary entries with no page numbers of their own (i.e., primary entries that have subentries) will render with extra indentation. 2The built-in AsciiDoc mechanism is somewhat more limited in that icons are hyperlinked from text to code, but not vice versa. If two-way linking is important to you, consider using a passthrough block (see Passthroughs).